Just in time for IBS 2019, StruXure Outdoor unveils the Vanish, a universally compatible component, the first of its kind, that will hide any motorized screen system within a StruXure pergola. Las Vegas, NV, February 19, 2019 --(PR.com)-- StruXure Outdoor is pleased to announce its latest product offering, the StruXureVanish™ a concealed module within their select pergolas, specifically designed to hold any retractable motorized screen system on the market. Now, instead of attaching screens to the outside of a StruXure pergola system, the Vanish offers a streamlined solution for keeping the luxury outdoor brand’s structures looking sleek and refined, as intended. The Vanish has been designed to work with all models of retractable screens, including those made by Phantom Screens, Progressive Screens, Fenetex, Rainier, and Marygrove Roll Screens, to name a few, making it the first universally compatible component of its kind in the world. The Vanish (see video here) will be unveiled at the 2019 NAHB International Builders’ Show (IBS) taking place in Las Vegas, February 19-21, at the Las Vegas Convention Center (LVCC). It will be StruXure Outdoor’s first time exhibiting at IBS. Attendees are encouraged to stop by StruXure’s booth (SU3220), located in LVCC’s South Hall, Upper Level, for a personal introduction to the Vanish and StruXure’s other products. StruXure Outdoor™ (formerly Arcadia) is the building industry’s premier designer and manufacturer of high-quality adjustable louvered structures. With patented products like the Pivot, the Slide, the Pivot XL, a complete gutter system, and bonus features designed with advanced technology, the company has become one of the fastest growing privately held businesses in the United States, appearing on the Inc. 5000 list for the past four years. 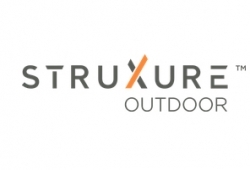 Founded outside of Atlanta in 2011, by CEO and Chief Product Architect Scott Selzer, StruXure Outdoor™ has grown to include two major manufacturing facilities in North Georgia and Nevada, with a staff of more than 50 and a massive dealer network that spans from Canada to the Caribbean. StruXure’s motto of "good isn’t good enough," and its dedication to its core values of quality, customer service, and innovation, serve as the driving forces behind the company’s continued innovation and growth.